All kinds of credit cards with different perks and promotions are everywhere today. With the amount of people looking for the right credit card, banks and credit card companies are competing to give the best to their clients. For SunTrust bank, it’s their Platinum Visa Credit Card. 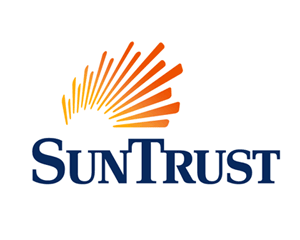 SunTrust Bank is one of the largest and leading institutions in terms of financial services. They are also known to be one of the strongest because their company is stable. Many people actually go to them and entrust their money because they feel secure and safe with SunTrust. What makes them different is that they are connected well with the communities surrounding them which allow people to really get in touch with the bank. The bank also offers a lot of services for their clients or customers. They cater and can provide the right solutions especially for those who have financial issues and problems. One of the services they have that people would really go for is their credit card offerings. The usual choice of their customers in terms of credit cards is SunTrust Platinum Visa credit card. Those clients who seek low APR will really benefit from this card. The variable introductory rate they have for their APR is from 9.99%- 16.99% on all purchases of the first 6 months. With this rate, people will really be happy since the rate is much better compared to other credit card companies. The other benefits and features with this credit card includes a no annual fee service, holders can easily get help if in case they encounter problems or issues with regards to their credit cards. And most importantly, SunTrust platinum Visa credit card is protected 24/7 against unauthorized and illegal purchases.